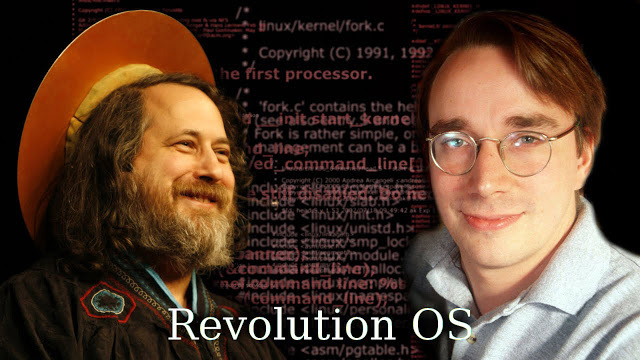 Revolution OS is a documentary film that tells the inside story of the hackers who rebelled against Microsoft and created GNU/Linux and the Open Source movement. Richard Stallman then explains how and why he left the MIT Lab for Artificial Intelligence in order to devote his life to the development of free software, as well as how he started with the GNU project. Linus Torvalds is interviewed on his development of the Linux kernel as well as on the GNU/Linux naming controversy and Linux’s further evolution, including its commercialization. Richard Stallman remarks on some of the ideological aspects of open source vis-á-vis Communism and capitalism and well as on several aspects of the development of GNU/Linux.